Like previous years, I was once again surprised by Pantone’s selection for Colour of the Year 2019. My first reaction (and Rose’s too for that matter) upon hearing “The Chosen” colour for this year was: “Coral, really?! – been there done that!” That is so 8 years ago. In fact, we have actually mentioned coral in not one, but TWO blog posts in the past – both trend reflection articles – in 2011 and 2012. Don’t get me wrong – it is not that I don’t like coral – I actually like it quite a bit and I was once again reminded of that fact while searching for all the gorgeous inspiration pictures we have shared below. In Pantone’s defence – the way we use coral (now versus 8 years ago), how it is applied in an interior space and the colours we combine it with has evolved into something more “here and now”. Trends tend to do that – evolve. I tried to recollect whether we at Design Monarchy have ever had interior projects that strongly featured coral. I immediately thought of one hospitality / retirement project we were involved with that included coral into the colour scheme. It was an upmarket seaside venue and we paired the coral with tones of blue – teal and aqua. See the fabric scheme: HERE. On further reflection, I found that we had a few design and decorating projects that incorporated some shade of coral as an accent colour – be that a coral-coloured scatter cushion or a floral fabric featuring a lovely blue and coral bloom. Happy 2018 everyone! I hope you all had a brilliant and rest-filled festive break? I’m sure by now you have all noticed a certain colour trend flooding image-sharing websites and blogs? You know the colour I’m referring to – it is a bold and dramatic shade of purple with a slightly bluer undertone – an almost “Royal Purple“. Anyhoo, however you choose to describe it, it is called Ultra Violet and it is Pantone’s Colour of the Year 2018. Purple tends to be a colour that people either love or hate. It is often viewed as a transcendental colour – it symbolizes spirituality, the sub-conscious, creativity, and royalty. Purple is also associated with decadence and conceit and, in some countries, it is the colour of mourning. 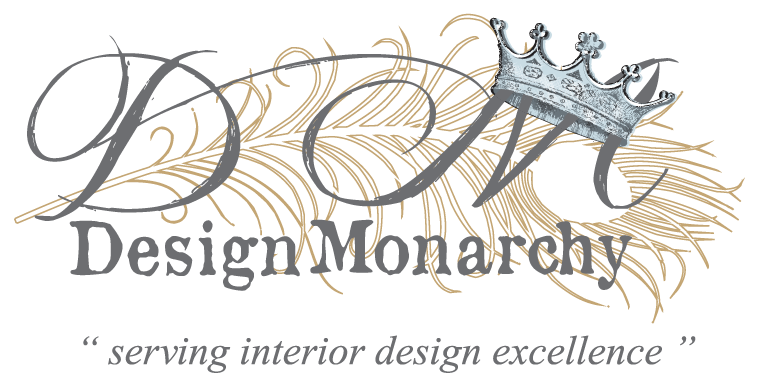 Design Monarchy is no stranger to using purple in our interior design projects – we LOVE bold. In fact, when Pantone announced their new Colour of the Year last December, I immediately thought of two specific projects – Summerley Court and The Manor – both upmarket retirement/hospitality venues. While the purples used in the aforementioned projects were not the exact tone and shade of Ultra Violet, it serves as an excellent example of the power and popularity of purple. I’m sure by now you have all spotted a certain colour trend featured heavily on all image-sharing websites. You know the colour I’m referring to – it is sort of a dusty red-ish brown-ish colour… Or is it more like a dull cranberry? Maybe it’s pink-ish paprika? Anyhoo, however you choose to describe it, it is called Marsala and it is Pantone’s Colour of the Year 2015. Named after the Italian wine, the colour Marsala is said to be both elegant and earthy. While it took me some time to warm to it, I have seen some beautiful applications. Sleek Hollywood leading ladies walking the red carpet draped in gorgeous Marsala-coloured silks and a plush Marsala-hued velvet sofa – very dramatic. So what do you think of the Colour of the Year? Yay or Nay? 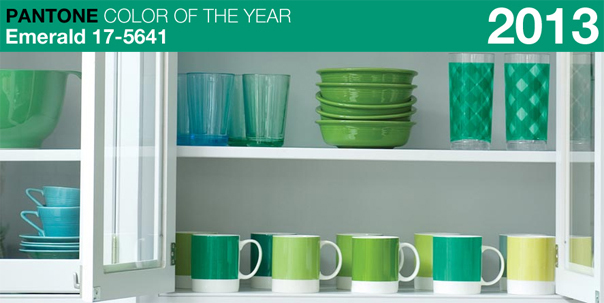 On 6 December, it was announced that the Pantone Colour of the Year 2013 is… Emerald. It took both Rose and me by surprise – I expected something a little more minty and light. We couldn’t help wondering about Pantone’s selection process. Does a colour become the colour of the year because it’s trending or is the reverse true? Does it become a trend because it is the colour of the year? Emerald, a vivid, verdant green, enhances our sense of well-being further by inspiring insight, as well as promoting balance and harmony. White – it’s fresh, light and easy on the eyes – a perfect balance to Emerald’s loud vibrancy. Play with patterns to add elements of interest and fun. Black – mysterious and bold. Paired with emerald it speaks of opulence and sophistication. Blue – another jewel tone that diffuses the bold emerald and adds a beautiful cool and calming facet. Neon Pink – not for the timid. The introduction of pops of neon pink into an emerald scheme is playful and trendy.